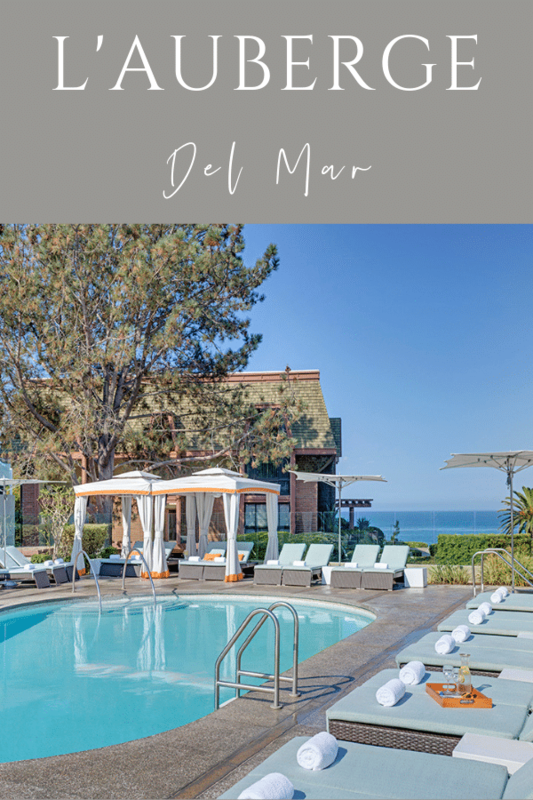 Nestled between Del Mar Village and the Pacific Ocean, L’Auberge Del Mar is one of North County’s favorite seaside getaways. The hotel, with its private coastal estate vibe, has garnered the attention of Condé Nast Traveler, Forbes, and Travel & Leisure Magazine. From its great room-style lobby that erases the boundary between indoors and outdoors to its landscaped private footpath to the beach, this hotel is the quintessential SoCal destination. Couples appreciate romantic guestroom options, families love the location, and thoroughbred racing enthusiasts recognize this is the place to stay in Del Mar. 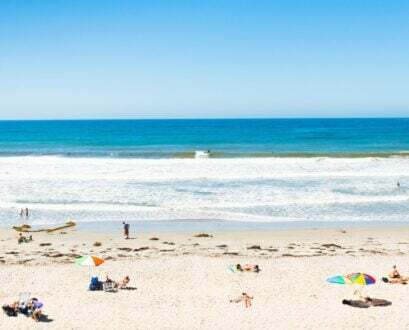 La Jolla Mom readers have access to value-aded benefits when booking into L'Auberge Del Mar that include complimentary breakfast for two, room upgrades subject to availability, a $100 spa credit and more. 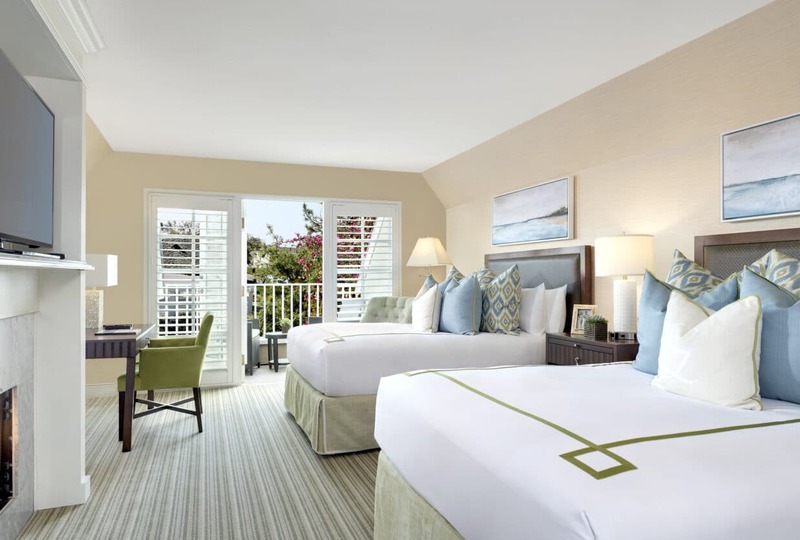 L’Auberge Del Mar features 121 estate-style guestrooms with ocean-inspired, Mediterranean-style, Barclay Butera décor. Warm cream-colored walls are highlighted by splashes of soothing blues, tropical greens, stormy grays, and vibrant coral. Handcrafted dark wood furnishings, large windows with plantation shutters, and design elements of shell and bamboo tie everything together. Each accommodation also includes a collection of design and art books to give you a little inspiration while on your vacation. In-room amenities are thoughtfully well-appointed. They include 42-inch LCD TVs with premium HD channels, iPod docking stations with alarm clocks, and fully stocked mini-fridges. They also provide desks with seating areas, coffee/tea service, digital security safes large enough to fit a laptop, complimentary Wi-Fi, and an iron/ironing board. Gorgeous marble bathrooms feature rain showers, marble vanities, plush bathrobes, and signature spa products. In addition to their guestrooms, they also provide a small selection of suites and specialty rooms that feature the same in-room amenities and décor of the guestrooms. Ocean facing rooms are quieter; some people complain about the noise in rooms that face the parking lot. Rollaway beds and cribs are available for some accommodations at a per stay fee. Typically located on the main level of the hotel, Garden Terrace Rooms feature views of the resort’s terraces and surrounding flora. They are equipped with your choice of one king bed or two queen beds, and many provide a balcony or a patio. This style of guestroom is available in ADA style too for those who require it. Village Rooms are usually located on the hotel’s second level boasting stunning views of Del Mar Village and the lush grounds of the resort. These rooms offer the choice of one king bed or two queen beds and feature attached private balconies. The more romantic version of Village Rooms, Village Fireplace Rooms also provide incredible views of Del Mar Village. In contrast, they only offer the option of one king bed. These rooms are mainly located on the hotel’s third floor and include cozy marble gas fireplaces, as well as private balconies. Located on the primary level of the hotel, Cabana Rooms feature one king bed. The highlight of these rooms is the cabana-inspired patio that overlooks the inner courtyard and pool deck. Privacy curtains allow you to close yourself off from the action of the pool when needed. 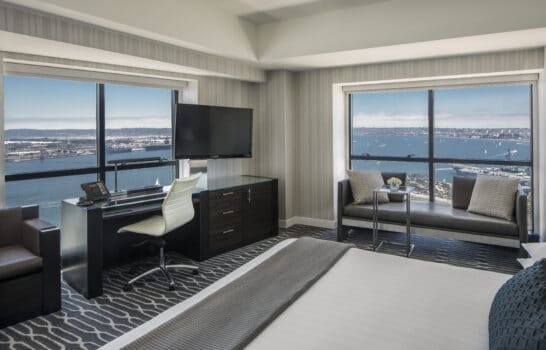 One of the most requested room options, Coastal Rooms have partial coastal views and private balconies ideal for watching San Diego’s famous sunsets. They are usually located on the second floor and provide you the option of one king bed or two queen beds. 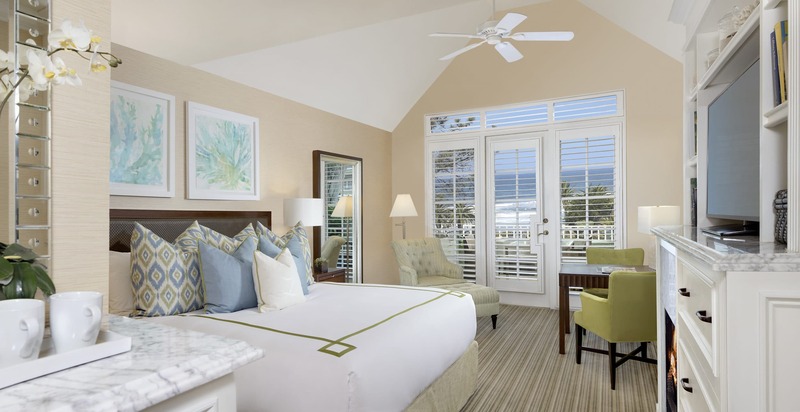 Similar to its sister, Coastal Fireplace Rooms are some of the most sought-after guestroom options due to their partial coastal views and private balconies. They are favored for providing the most privacy and tranquillity. Typically located on the third floor, they only offer a king bed option, and include a modern marble gas fireplace. The ideal choice for families, the Village Suite features a 500-square-foot master bedroom with king bed, elegant and comfortable oversized wingback chair, large dresser with 42-inch LCD TV, and a small desk with two cozy chairs. A warm and welcoming living room, private balcony with beautiful views of Del Mar Village, and contemporary marble bathroom with both a shower and bathtub are also included in the suite. For added space, this accommodation can expand to include two adjoining bedrooms, one with a king bed and one with a queen bed for a total square footage of 1,050. A true home away from home, Pacific Suites feature 600 square feet of space with one separate bedroom outfitted with a king bed that is adorned with plush bedding. The room also has a marble gas fireplace, 42-inch LCD TV, and an attached balcony with comfortable and cozy furnishings and partial ocean views. Many of these bedrooms also include a rain shower and deep-soaking bathtub providing you with a moment of relaxation in a tastefully decorated space. The living rooms in Pacific Suites provide guests with inviting seating areas — many of which include marble gas fireplaces, queen-size sofa beds, and four-person dining tables. They also have a 42-inch TV, and a second private balcony with picturesque coastal views. If you know you’re going to need the extra space and bedding of a queen-size sofa bed, be sure to contact the hotel directly for booking to ensure you receive a suite with these features. Providing 1,222 square feet of space, the Del Mar Suite is the largest suite at the hotel. It features an expansive living room complete with a marble gas fireplace, sofas, tables, a 42-inch LCD television, and a half-bathroom. A six-person dining table, wet bar, and three spacious, private balconies are also included, one of which is off the master bedroom. Each balcony features a breathtaking coastal view. The private bedroom has its own separate seating area, a 42-inch LCD TV. The private master bathroom has a rain shower, separate deep-soaking roman tub, double vanity, and bidet. For additional space, you can request a connecting Coastal King Room. A truly unique accommodation experience, the Entertaining Patio Specialty Room was designed with groups in mind. It is a nontraditional collection of four rooms connected by one expansive, sunlit patio. Each of these Village-style rooms offers 300 square feet of space and is equipped with one king bed, a marble gas fireplace, and a gorgeous marble bathroom with stand-up rain shower. Guests can expect beautiful views of Del Mar Village and access to a communal patio. This shared space provides Specialty Room guests with comfortable outdoor couches, large sunbeds, cocktail tables, and umbrellas. It’s the perfect space for private entertaining. Whether you’re looking to enjoy a family getaway or a weekend celebration with friends, this is the perfect accommodation. Guests at L’Auberge have four dining choices, including their award-winning Kitchen 1540 signature restaurant, easy breezy Coastline Restaurant, hip Bleu Bar, and sophisticated Living Room Bar. In-room dining is also an option at L’Auberge. Here’s the scoop on your choices. Kitchen 1540 is the hotel’s chic signature restaurant. Under the direction of a string of award-winning chefs, this is no run-of-the-mill hotel restaurant. It’s earned accolades from the likes of Wine Spectator and Ranch & Coast Magazine. 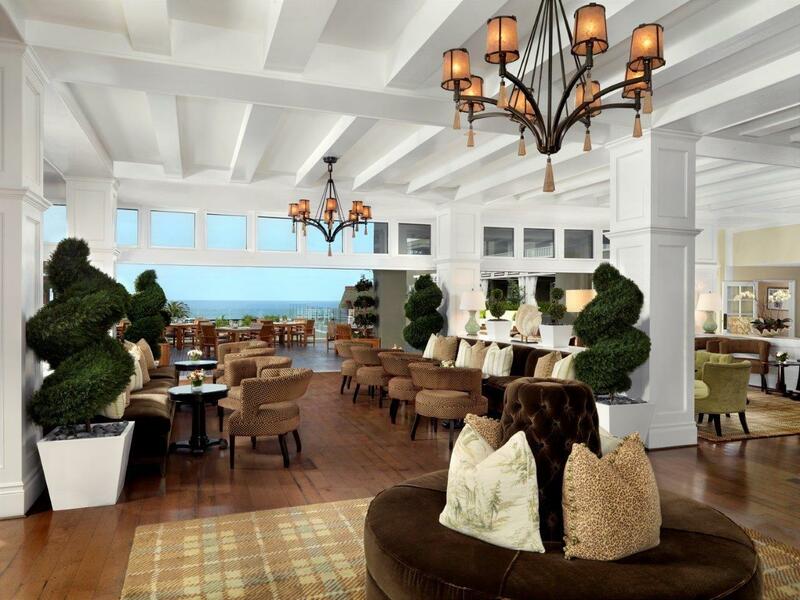 You’ll experience New American fare with California coastal influences served in a contemporary setting. Romantic outdoor patio dining only adds to the restaurant’s allure. The menu is simple but elegant. Coastline Restaurant is the hotel’s all-day restaurant serving breakfast, lunch, dinner, and weekend brunch with an ocean view. The large outdoor wood deck overlooking the pool and ocean offers the feel of dining at a luxurious summer home instead of a boutique resort, though menu prices offer a reminder. Share a cheese and charcuterie board and wine at sunset, or a shredded pork grinder and craft brews for lunch. 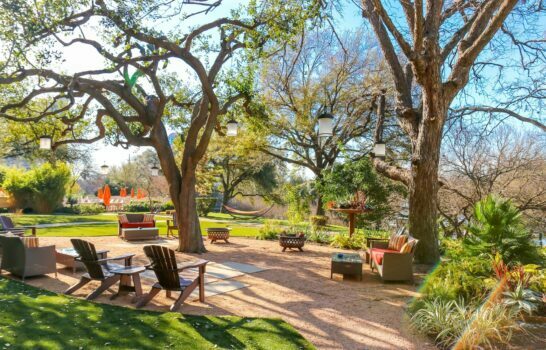 Feel free to bring your four-legged pal to this pet-friendly, al fresco gathering spot. Living Room Bar is the hotel’s sophisticated lobby bar. This is the perfect place to meet up with friends and fellow travelers. Dark hardwood floors, bright white columns, an illuminated bar, manicured topiaries, and luxurious furniture define the space. One end of the Living Room opens onto an expansive wood deck, creating a seamless indoor/outdoor vibe. Guests can expect a menu of light bites, daily happy hour, and live music on Friday and Saturday nights. Bleu Bar is L’Auberge’s seasonal, outdoor bar where guests can delight in ocean views by day, and snuggle up next to a large fire pit at night. You’ll love the plush seating, bubbling water feature, and lush foliage outlining the space too. The casual outdoor bar is perfect for quiet cocktails for two, or an intimate cocktail party among friends. Bleu Bar serves bottled and tap beer, Champagne and wine, and craft cocktails, plus light bites, salads, and sandwiches. Resort fees at L’Auberge include access to a spa, two pools, lit tennis courts, beach valet service, and private access to the beach. A business center offers 24-hour access. There is also complimentary Wi-Fi throughout the resort, including in rooms and suites. Complimentary newspapers are available daily at the concierge desk. Electra beach cruisers can be rented to take advantage of coastal bike paths, and the Village Shuttle offers free service within one mile of the hotel. Spa L’Auberge is situated in a beach house with 10 treatment rooms, his and hers herbal-infused steam rooms and a quiet relaxation room with refreshments. A private, open-air relaxation space features a cozy fire pit and comfortable seating. The couple’s suite treatment room opens onto a private garden terrace with a deep soaking tub. Like many San Diego spas, Spa L’Auberge provides guests with an ocean-inspired experience. Rated among the “Top 25 Spas in the US” by Condé Nast Traveler, you can expect luxurious and personalized spa services like Deep Sea and Ocean Hydration facials, sea salt body treatments, sea stone massages, and beach and surf spa packages. Situated the level below Bleu Bar, there is a single, standard resort-style pool at L’Auberge. It features cushioned lounge chairs, double loungers, and sun beds. Guests who reserve cabanas receive poolside food and beverage service. Though the pool itself is underwhelming, ocean views provide a relaxing experience. A large whirlpool spa is steps away. Both pool and whirlpool are equipped with ADA lifts. The fitness center at L’Auberge is small but is equipped with everything necessary for a good workout. Open 24-hours a day, the gym features a few treadmills, stationary bikes, and elliptical machines as well as a few strength training machines, and free weights. It also has medicine balls and yoga/stretching mats. The center is stocked with exercise towels and a large water jug with both hot and cold water taps. You may want to bring your own reusable water bottle though, since only small, cone-shaped paper cups are available. Tennis buffs will appreciate two lighted championship tennis courts at L’Auberge Del Mar. Bring your own racquet, or ask for complimentary racquets at the concierge desk. During summer, L’Auberge Del Mar provides complimentary beach valet service and beach gear. Or, guests can grab their complimentary beach gear and head to the beach via the resort’s private footpath. The two biggest seasonal attractions in San Diego make this coastal neighborhood a summertime favorite (and also bit congested traffic-wise). The San Diego County Fair, located on the Del Mar Fairgrounds, is a three-week, family-fun extravaganza in June. It’s closely followed by the Del Mar thoroughbred race season that runs from mid-July to September, and Bing Crosby fall racing. L’Auberge Del Mar is a top hotel choice for families wanting to experience these neighborhood favorites. 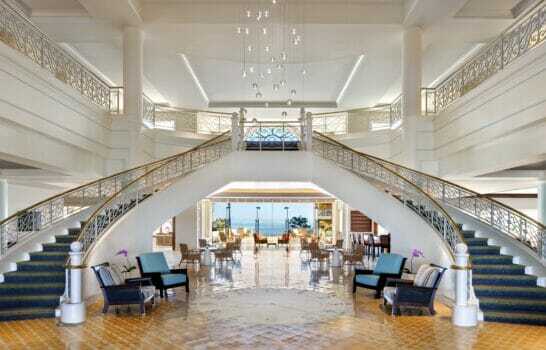 L’Auberge Del Mar is enviably situated between Del Mar Village and the ocean. 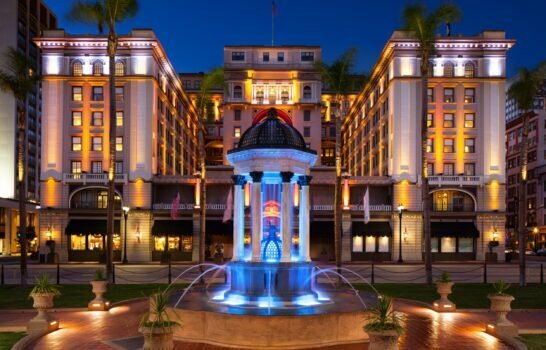 The hotel is steps from charming Del Mar Village where you can satisfy both your shopping and dining urges. Start with Del Mar Plaza just across the street. You’ll find over 30 boutiques and independent shops featuring everything from artwork and collectibles to jewelry and the latest fashions. The Del Mar culinary scene is both walkable and flavorful. You can cater to your taste buds at one of several gratifying restaurants. Jake’s Del Mar, a neighborhood favorite with a buzzing Happy Hour, is an upscale seaside restaurant with classic SoCal fare. Pacifica Del Mar is a fine dining choice featuring at creatively prepared steak and seafood. A huge aquarium in the dining room will entertain the kids, and outdoor dining offers dramatic sunset views. Family-favorite activities in Del Mar include the Free Flight Exotic Bird Sanctuary, Dinosaur Gallery, Pelly’s Mini-Golf, and Powerhouse Park (includes a playground). Rent boogie boards, wetsuits, and surfboards from Rusty Del Mar (they offer lessons, too). Torrey Pines State Reserve is nearby for hiking a short loop trail with incredible ocean views (more challenging trails available). San Diego County Fair, one of the top five in the nation, is loads of fun for kids in June, and Del Mar Racetrack has plenty of kids’ activities mid-July to September. Other seasonal activities include Scream Zone during Halloween and Holiday of Lights at Christmas. Both are at the Del Mar Fairgrounds. 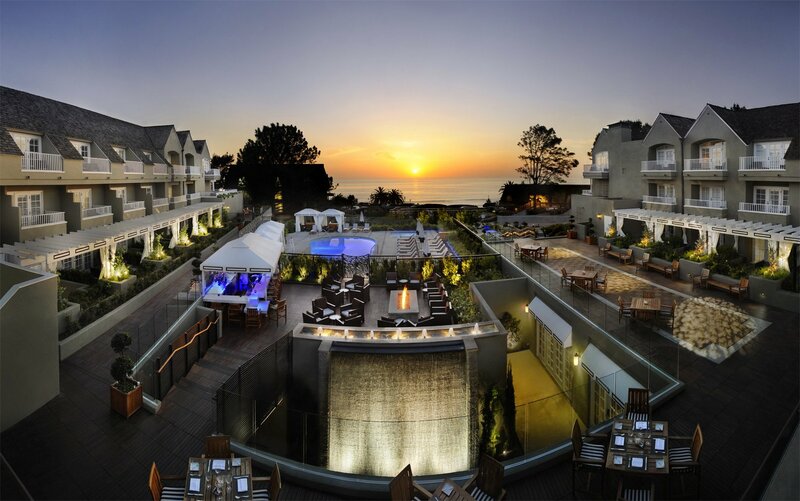 Readers of La Jolla Mom can book into L’Auberge Del Mar with value-added Travel Leader Select benefits that include breakfast for two, $50 spa credit, early check-in and late checkout (subject to availability), and an upgrade based on availability. I’ll need to know your dates and preferences via the form below. Note that these benefits are applied to the hotel’s flexible rate and do not apply to sale rates. It may help to check the hotel’s pricing first.